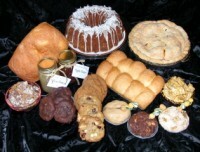 Bring in a baked item Friday, November 9th for HFHN’s Holiday Fair! As a thank you, students in participating families may wear SPIRIRT UNIFORMS on this day. If you are unable to bring in a baked good, please consider a $5.00 donation and receive a Spirit Pass for that day. Thanks for your support of HFHN!